A UK Grade II listed holiday home offers a self catering break at accommodation designated to be of special architectural or historical interest. What you can expect is something old, historical, quirky maybe, interesting but never a dull 'plasterboard box'. As you would expect, they come in all shapes and sizes, from 'chocolate box' thatched cottages and tudor townhouses to sympathetic to the period barn conversions. They may be grade II listed, but you will still find luxurious, hi-spec interiors packed with lots of modern essentials including wi-fi. You will find grade II properties across England, Scotland and Wales, whether you are looking for a couple, family or group and whatever your budget. 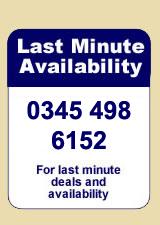 Click on the links and booking buttons to find live availability.